London, Thursday, 4 APRIL 2019 – Silicon Valley Bank (SVB), the bank of the world’s most innovative businesses, enterprises and their investors, has today announced Erin Platts as Head of EMEA and President of Silicon Valley Bank’s UK Branch. A 15-year veteran of SVB, Platts most recently has served as Head of Relationship Banking for Europe. She has a strong background in market and product development, delivering upon banking and debt transactions for technology and life sciences companies and their investors. 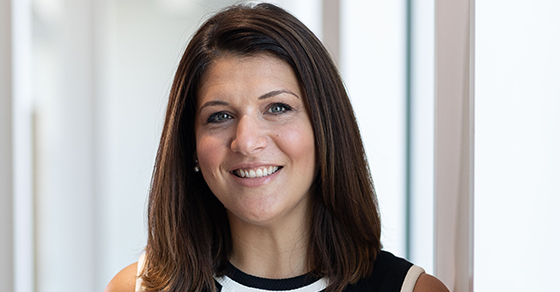 Having originally joined SVB’s Boston office in 2004 before she transitioned to the UK office in 2007, Platts is a well-connected and active champion of the global innovation economy. Her initial focus is to continue to build out the UK banking platform by introducing new financial products and services to help technology and life science companies to scale. In addition, Platts will be responsible for SVB’s continued European growth. Platts is passionate about diversity in technology and finance, and has established partnerships with UK organisations including Diversity VC, Stonewall, Career Ready and Mums in Tech, as well as working with the Boardlist, Astia and Backstage Capital at a global level. SVB is dedicated to hiring and retaining diverse teams and plans to hire 40 new employees in the UK this year so that the bank can continue to focus on its goal of providing innovation businesses with a world class client experience. “I am delighted to step into this new role. In addition to building out our banking platform, my focus will be on furthering the great culture of SVB as we continue to build our brand, while providing clients with an outstanding partnership and platform to grow their businesses. Helping our clients scale in Europe and across the globe is more important than ever as we navigate Brexit and the tech talent crunch. Jan Hammer, Partner at Index Ventures, said: “Silicon Valley Bank has been a great partner to us, our entrepreneurs and the whole startup ecosystem. With the growth of the European tech sector accelerating, it's great to see the bank's continued investment in the region." Simon Bumfrey has been promoted to Head of Relationship Banking, Europe. He joined SVB in 2017 as Head of Technology Banking UK & Ireland, having spent 20 years leading and operating within teams focused on the TMT sector in Barclays, Bank of Ireland and Lloyds. Bumfrey has extensive experience in client management and building teams and will be instrumental to the bank’s ambitious hiring plans as it expands its European footprint. Silicon Valley Bank is committed to supporting the vibrant innovation sector in EMEA and the entrepreneurs and business leaders leading high-growth, disruptive technology businesses. SVB works with businesses such as Trustpilot, HelloFresh, Atlantic Therapeutics, The Hut Group, Secret Escapes and Made.com as they pave the way toward further growth.